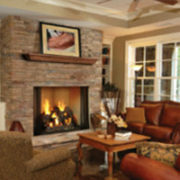 If you can no longer tolerate burning wood and want to start your new gas fireplace simply by flicking a switch or with a remote, you can opt for one of our gas log sets. 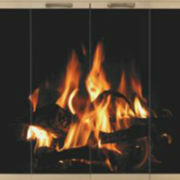 We have both vent-free and vented gas log sets that offer exceptional realism and beauty. Just visit the Products page of our site to view a few of the vent-free and vented options (out of many) that we have available in our showroom. 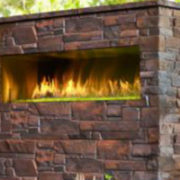 If you’ve had enough of the wood, but want to do what you can to revive your old fireplace, consider a gorgeous new gas insert. We have an extensive selection of direct vent and vent-free gas inserts, that are also available in cast-iron, steel, and several different colors. 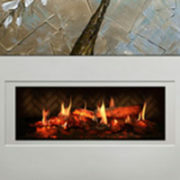 To learn more about our fabulous gas fireplace inserts, please click here. 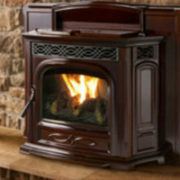 If you have an old wood burning fireplace or wood stove sitting in your home, we have no problem tearing it out and installing a completely new gas fireplace system in its place. 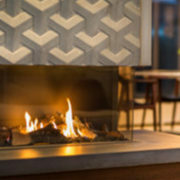 After all, at Rettinger’s, providing you with a fireplace that suits your needs is our goal, even if we need to have our installers and technical service staff remove an out–of–date wood burner. Discuss options, get a quote, schedule site inspection. Permits needed will be filled out by Rettinger’s for you to submit. Gas and Electric rough installations then Township rough inspections. Final inspection by the Township. Warm and cozy by the fireplace. 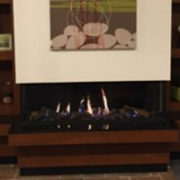 To learn more about the gas burning fireplaces we offer or our fireplace installation company based in New Jersey, please browse our site, call us at 856-783-5501 or fill out a contact form.